Volkswagen Motorsport India had a fantastic run in the 2018 season of the FMSCI Indian National Rally Championship. Volkswagen Motorsport India had a fantastic run in the 2018 season of the FMSCI Indian National Rally Championship. The FMSCI INRC 2018 season was an exciting one for Volkswagen Polo and Polo R2, which secured 37 podium positions and 10 victories altogether in overall, INRC 1, INRC 2 and INRC 3 categories. Running the Volkswagen Polo, teams Arka Motorsports, Snap Racing and Team Champions gave each other a tough competition in INRC 2. 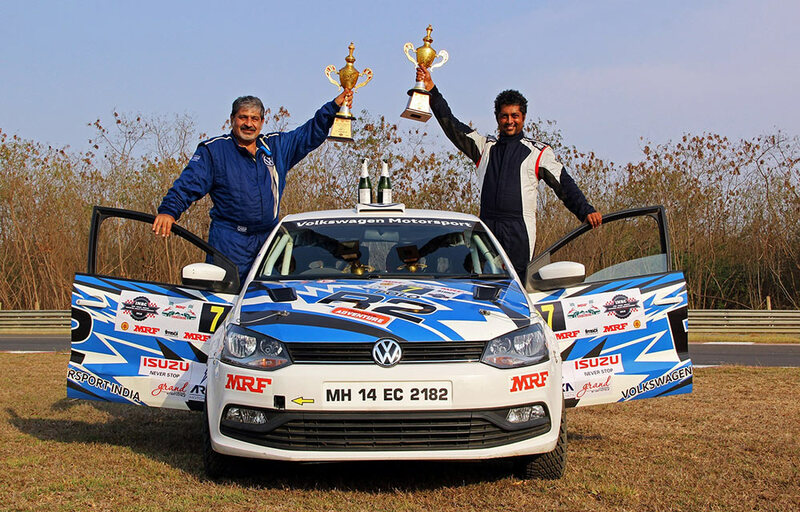 Piloting the Volkswagen Polo, Karna Kadur from Arka Motorsports kept the overall championship gripping till the last round as he competed for the top honours. By the end of the season, Karna secured three wins and five podiums in INRC 2 category for his team, thus taking the INRC 2 title as well. INRC 3 witnessed Volkswagen Polo taking 14 out of 15 possible podium finishes through the year, marking one of the most successful outing for a car in a season.